Chouchou new piano solo EP “a monster is crying” has been released on 21st Dec, 2013. 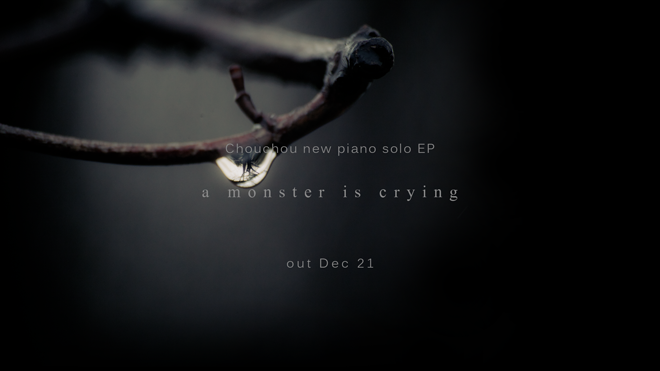 The EP contains 3 beautiful piano pieces, and it is the pre-release of the full piano solo album coming 2014. 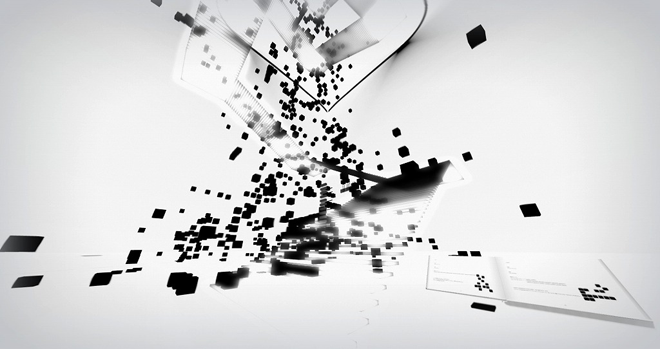 Due to the recent sharp yen depreciation against the dollar, we decided to close one of our regions, “Chouchou XVI-The Babel-” on Nov 30th. Thanks to all the people who have visited since its opening. We needed to make this very hard decision in order to keep other 2 regions, “Chouchou” and “Chouchou V-Memento mori-” as they are, but we hope someday we can bring it back when the situation gets better again. And we also hope as many people as possible will visit there to see its last moment in their eyes by the closing date. We’re planning to release our first piano album with sheet music and thinking about including some piano versions of our released works. And we’d like to decide which songs should be in the album by fan vote! To know more about the survey, and to take part, please visit our survey page from the link below. Another new song is coming! 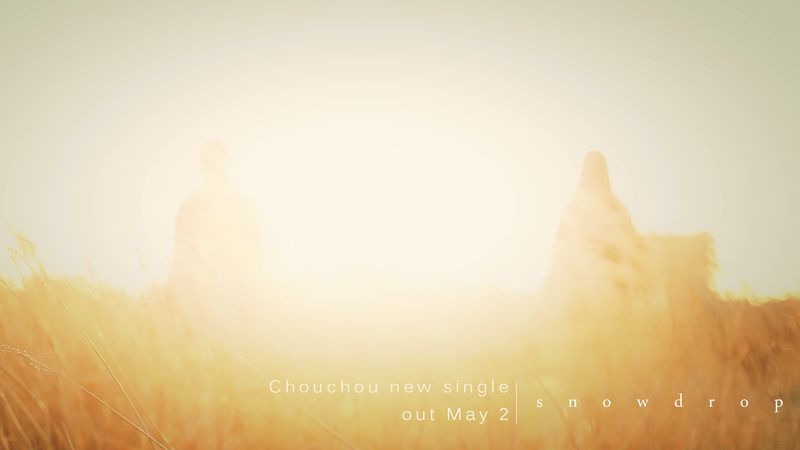 The last one of our double single release is “snowdrop” which will be released on May 2, 2013. As a release event, we’ll do another special radio talk show on Ustream and niconico, and the song will be released right after the show. *Sorry, the show will be broadcasted in Japanese. It’s been 1 year and 3 months since our last single release. 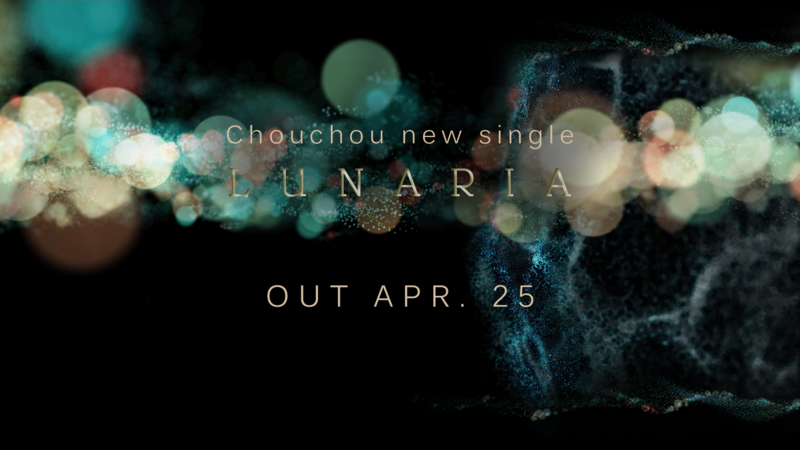 We’re happy to announce that we have just released our new single LUNARIA. Chouchou new sound collection albums “sound03 memory” and “sound04 solitude” will be on sale on Mar. 27th exclusively at Bandcamp. 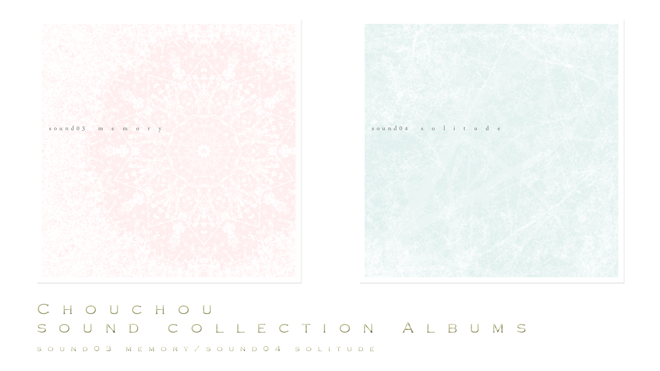 Chouchou sound collection album is like a little box of Chouchou sounds for your daily life. You can use them for your computer like startup and shutdown sounds, email sounds, skype sounds and so on. If you’re using iPhone, you can also set them as your ringtones and alarms.